I have my challenge for October 23 done early this time. I'm still catching up and I hope to have all my Halloween projects done before Halloween gets here. the digital image is from A Day for Daisies. I used the Silhouette Camep to print and cut the image. I sentiment is from Stampin Up Teeny Tiny Wishes, I used memento tuxedo black ink. The fall frame is from Scrapbook Max collection of clipart. I used Spectrum Noir markers to color the image. 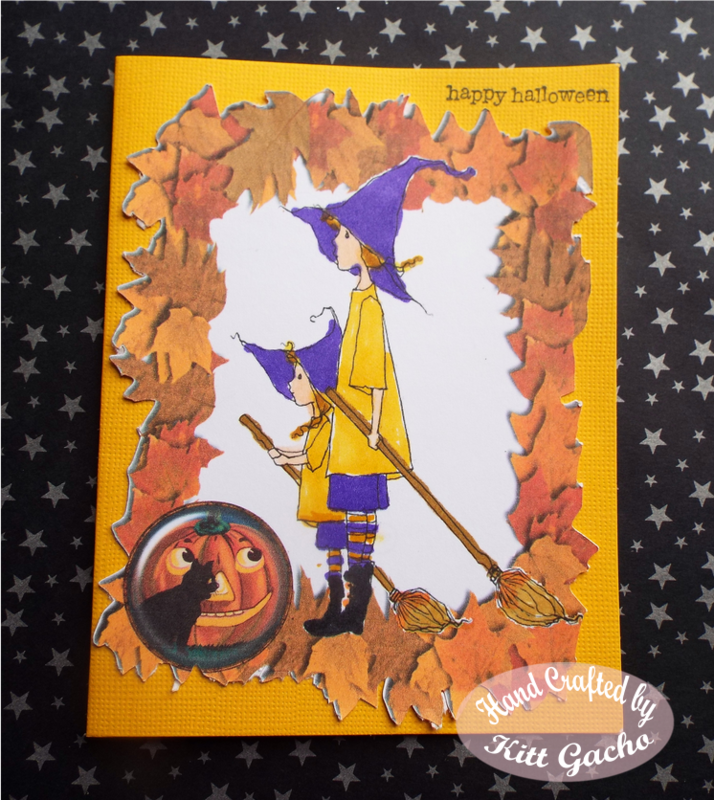 This card is for the challenge over at Give a Crafter a Cookie. Be sure to stop by and see what the talented DT has for your last minute Halloween inspiration and join us for the challenge. Thanks for stopping by today and have a crafty happy day.